They won the all-Cape Coast debut with 48 points; four points ahead of Mfantsipim School while Ghana National College ended the contest with 26 points. 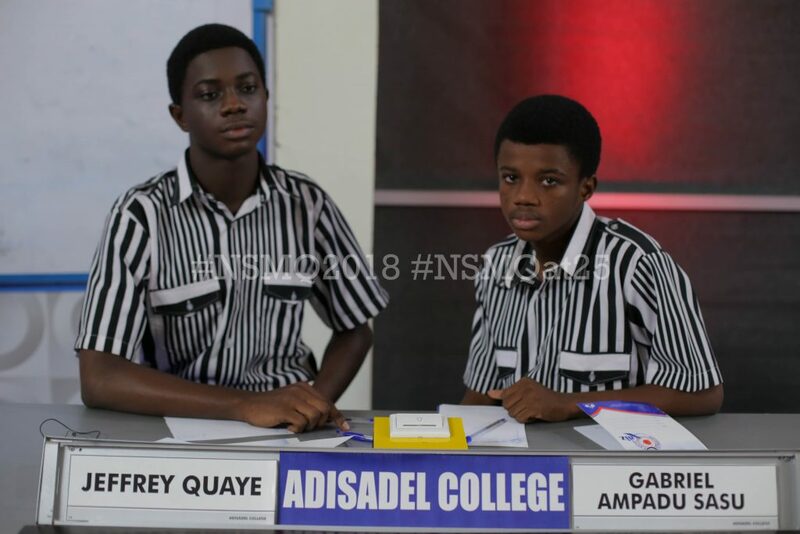 Jeffery Quaye and Gabriel Ampadu Sasu, contestants of Adisadel College, were formidable; displaying great dexterity throughout the contest to keep their hopes of making it to the Grand Finale and winning their second trophy. Prior to the commencement of the contest, the R.S Amagashie auditorium of the University of Ghana was packed to capacity, with supporters of the three competing schools cheering their contestants to victory. At the end of the first round, Mfantsipim School was in the lead with just a point followed by Adisadel College while Ghana National College lagged behind. Adisadel College came back stronger to take the lead in the third round after they equalized the score of Mfantsipim in the second round, also known as the Speed Race. 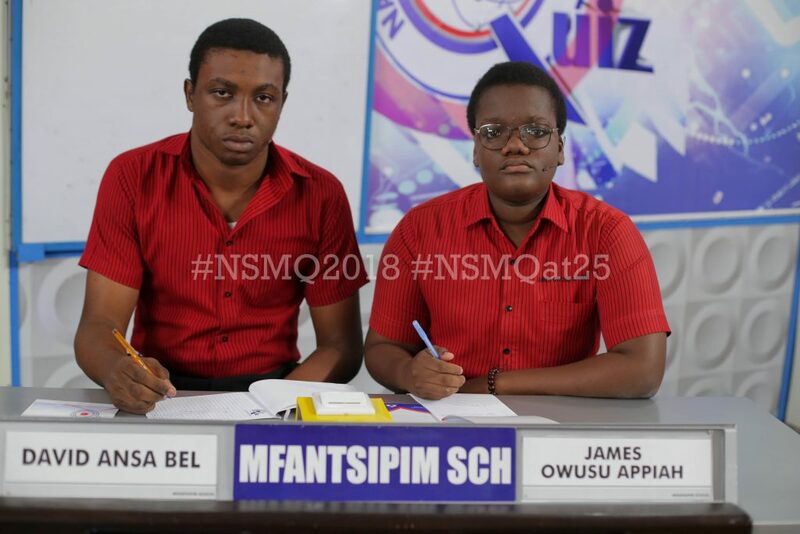 The NSMQ2016 winners, Adisadel College, lost their composure and dissipated points in the penultimate round whilst Mfantspim left nothing to chance to close the gap between them and their archrivals. 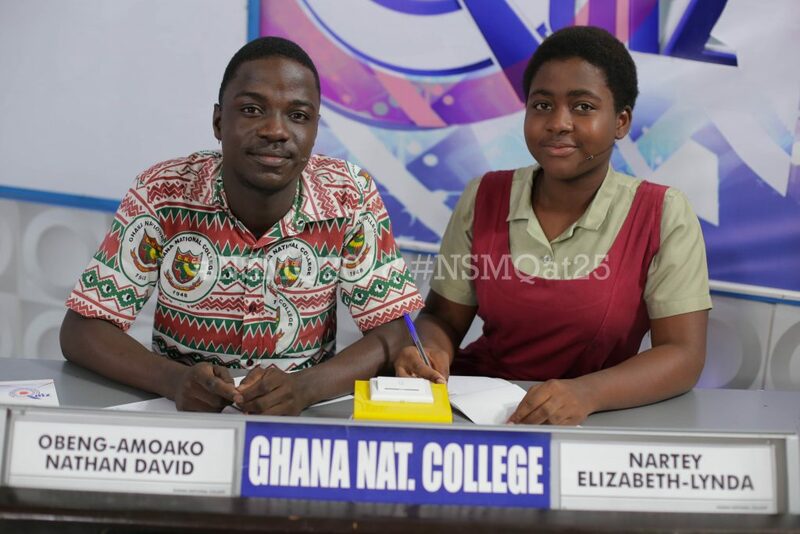 At the end of the fourth round, Ghana National College trailed with 23 points whilst Adisadel College and Mfantsipim School made 42 and 41 points respectively. The first semifinal contest was then to be decided in the fifth and final round of riddles. But it was Adisadel College that maintained their impressive run, unraveling two out of the four riddles to take the first slot in this year’s grand finale. 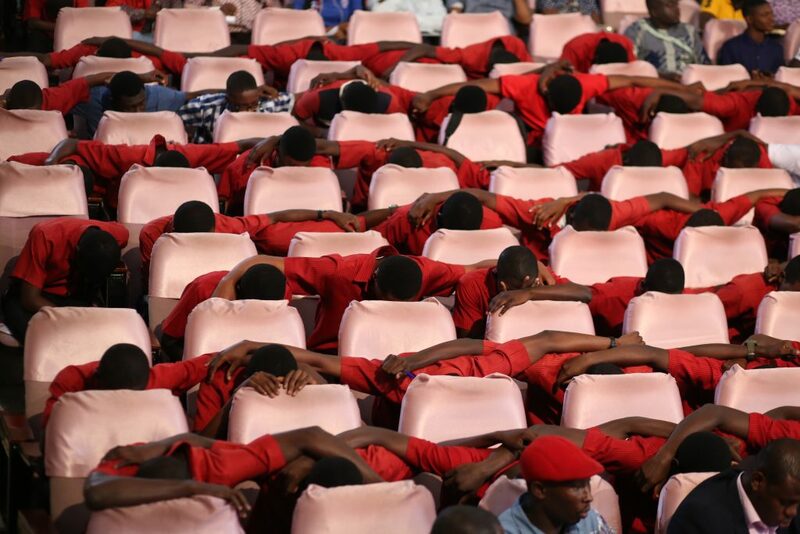 The two losing schools, Mfantsipim School and Ghana National College, managed to pick one riddle each to end the contest. All the three losing schools received cash prizes from GCB Bank and Bonds Savings and Loans. Ghana National College and Mfantsipim School took home One Thousand and Forty Ghana Cedis Only (GHS1040.00) and One Thousand, Six Hundred and Forty Ghana Cedis Only (GHS1640.00) respectively from GCB Bank for three contestants and a teacher. The winners, Adisadel College, also took home One Thousand, Seven Hundred and Sixty Ghana Cedis Only (GHS1760.00) from GCB Bank for the three contestants and the teacher. In addition, they received One Thousand Ghana Cedis (GHS1000.00) from Bond Savings & Loans for winning the contest. Adisadel College will meet the winners of the last two semifinal contests which will take place later in the day. St. Peter’s SHS will take on Mawuli School and Keta SHTS, two Volta region schools in the penultimate semifinal fixture whilst reigning champions, Prempeh College, will be in action against West Africa SHS and Krobo Girls’ SHS in the final semifinal contest of the 2018 National Science & Maths Quiz. The National Science & Maths Quiz and Science Festival is sponsored by the Ghana Education Service through the Conference of Heads of Assisted Secondary Schools (CHASS), with support from GCB Bank, GTP, Lancaster University Ghana, Academic City College, Medifem Multi-Specialist Hospital, Accra College of Medicine, Hawtie Makeup, West African Centre for Cell Biology for Infectious Pathogens and Awake Purified Drinking water. The Sci-Tech Fair is sponsored by Goil, Prudential Life Insurance Ghana, and Tullow, while Bond Savings & Loans and RMG Ghana Ltd are sponsoring the Mentorship Sessions.